I’m delighted to be co-leading, with the very lovely Steph Vidal-Hall, a brand new workshop that’s about bringing the rigour and application of Nancy Kline (Time to Think)’s Thinking Environment into your coaching and leadership practice… Its booking up fast! Here’s the information below or Click here RD1st Shorts TE for further information and a booking form. A two day workshop presenting the Thinking Environment as a powerful approach to ‘getting out of the way’ of your coachee or colleague’s best thinking, designed to challenge and enhance your coaching and leadership practice. The workshop will cover – through theory and practice – the applications of the Thinking Environment in relation to our work as coaches, leaders and managers. This will include the building blocks for creating a Thinking Environment wherever two or more people are gathered together; thinking pairs, dialogue, rounds, discussion and incisive questions. We will also look at applications for problem solving, handing conflict creatively, better meetings and embracing diversity. There will be a particular emphasis on how Thinking Environment work builds on and stretches the core skills of RD1st and other coaching approaches. The workshop will be conducted in a Thinking Environment – requiring respect, personal integrity and rigorous confidentiality. WHERE – Held in beautiful Lancaster, the heart of Relational Dynamics 1st at the convenient and accessible Dukes Playhouse (www.dukes-lancaster.org). COST – Organisations £275; individuals £200. 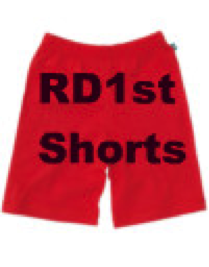 HOW – Click here RD1st Shorts TE for further information and a booking form.